This weekend, I met with Jeff Weissler of Pairings Portland and we came up with a novel idea: Pairing wine with Tarot cards. Join us on Friday, August 15th, from 2pm to 8pm as we experiment with crossing the exotic world of wine with the esoteric world of the Tarot! You can learn more about it on the Facebook page for the event. I will be offering 10-minute Tarot readings for $10, and each reading comes with a bonus wine pairing reading. In addition, Jeff will be serving a $15 flight of wine specifically paired with five of the most delicious Major Arcana. 5% of all proceeds will go to Pacific Pug Rescue. Pairings Portland is located at 455 NE 24th Ave in Portland, Oregon. 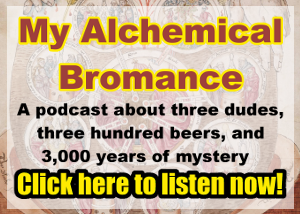 The shop looks really amazing, and you’re going to love the way Jeff pairs wine with just about anything you can think of, including your astrological Sun sign and favorite cult TV show. You can find your way there using the map below.